Forget the Apple TV. It is increasingly looking like Apple's arch rival Google will beat it to the punch with its own take on the smart set-top box, the Nexus TV. From what we've heard, it will share more in common with the current Apple TV than the oft-rumoured Apple TV set. But just what can you expect from Google's own entry into the smart set-top box battle. And will its Android-powered device be enough to win your hard earned money? Nexus TV is likely to be Google's big play for the living room. Alongside video streaming services like YouTube, BBC iPlayer, Netflix, LoveFilm and maybe even NowTV, expect the ability to browse the internet, download apps and play games. Back in July, the first reports emerged that Google was planning to launch its own TV box to compete with the likes of Apple TV, Microsoft's Xbox One and Sony's PlayStation 4. Among the features rumoured at the time were video and music content streaming, apps and gaming. Thanks to the Android-based nature of the set-top box, it is likely the device would launch with most of the major names already present. One feature that was reported to have been shown off at the Consumer Electronics Show in early 2013 was a Kinect-like motion sensor. According to the Wall Street Journal, Android-phone owners would have been able to use their phones to enable gestures and user recognition. However, the feature has not been mentioned since, and it is unclear if it will make it into the final version of the device. However, one feature not expected to be featured in the final device is live TV streaming. The Verge reported that Google has decided to eschew including the feature in order to avoid having to negotiate content deals with cable providers in the US. It's a feature that – as with the Xbox One – probably wouldn't have been available in the UK at launch anyway. 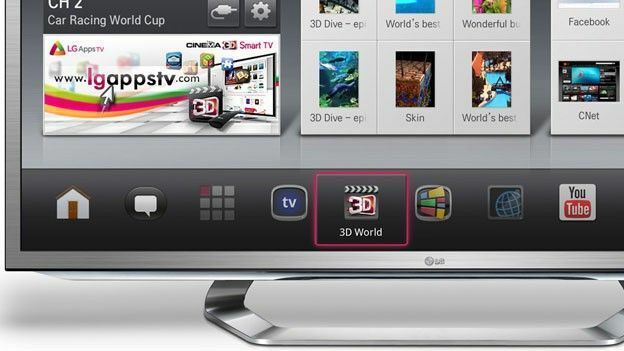 A concept TV was posted on a Russian news site, showing off a curved screen with a silver finish. We're not sure how legitimate the source is however, so we'll not get excited for a curved Google tele just yet. Little is known about the price. Its Chromecast dongle costs $35, so it is likely to be more than that. It is also unclear if Google will charge a subscription for access. We'll update this article when we know more about this. Geeksided thinks this year's Google I/O could be in prime position to launch a Nexus TV to the public - 25-26th of June, save the date folks. A report in The Information (subscription required) cited an anonymous Google source as saying the Nexus TV would be ready in the first half of 2014, which could coincide (just about) with the Google I/O event. Convenient, eh? The story follows earlier reports from the likes of the Wall Street Journal that Google demoed an early version of the machine behind closed doors at the Consumer Electronics Show in January. Google is believed to have shown an updated version of that machine to Android developers this autumn.